Thursday - Sunday 12 - 6. In December we will add Wednesday 12-6 + all Victorian Christmas hours. 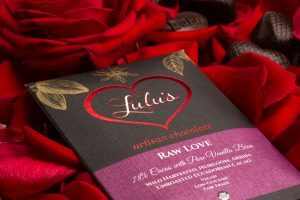 Lulu Bonner has been making artisan chocolate for twelve years and her products combine her passion for pure, whole foods with her love of gourmet chocolate. All of Lulu’s products are certified organic, vegan, fair trade and sweetened with low-glycemic coconut sugar. 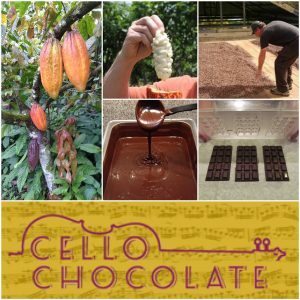 We offer Chocolate Tasting Flights, a top shelf Bean-to-Bar Chocolate Collection and a variety of other handcrafted artisan products, many of them made right here in Nevada County. Monday-Thursday 11am-7pm; Friday 10am-9pm, Saturday 10am-9pm, and Sunday 10am-6pm. In the summer we extend our hours and stay open later on Monday-Thursdays until 8 p.m. or later, and until 7 p.m. on Sundays. 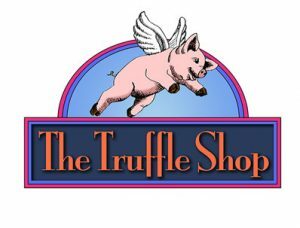 Nevada City Chocolate Shoppe is located in historic downtown Nevada City. 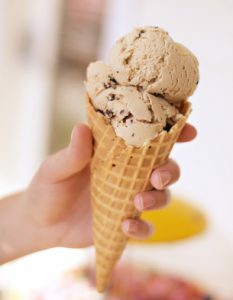 The shoppe makes homemade candies and chocolates, offers a wide selection of candies, and serves ice cream and drinks. An Honest Pie is a mobile food truck which sells fresh baked pies. Each pie is made inside the "piemobile". The piemobile is available for various large events, i.e. 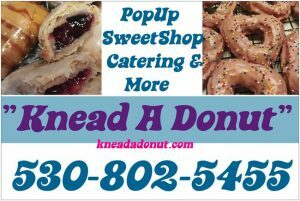 weddings, graduations and company gatherings. At Culture Shock Yogurt, our main goal is to ensure the customer gets exactly what they want! Whether you enjoy a plain vanilla yogurt or one of our exotic flavors with any number of toppings, we are sure to have something to make you happy. We also feature over 24 flavors of freshly-made healthy, gourmet popcorn!